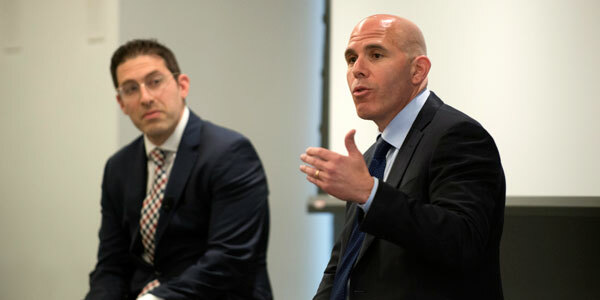 On Monday, June 18, the Yeshiva University Real Estate Professionals, a YU alumni networking group, presented Scott Rechler, CEO of RXR Realty, in conversation with Charlie Harary, senior director of capital markets at RXR Realty. 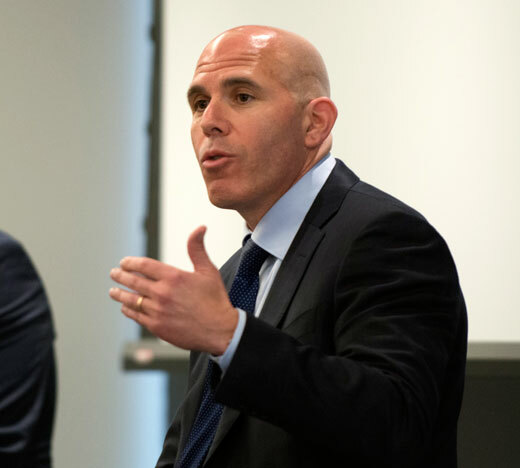 Hosted by Paul Hastings LLP and sponsored by the Meridian Capital Group, the hourlong conversation covered the history of RXR, its current customer-centric business approach and the company goal of making the world better through the projects it pursues. Rechler’s account of selling a successful family business to start a new venture at a time when doing so was very risky demonstrated several qualities for which Rechler is known: a deep study of markets within their social contexts (in other words, what drives people to do what they do) combined with honest conversations with his investors and other stakeholders and selecting projects that not only generate company profits but also social benefits. His longtime motto has been “recalibrate reality,” and to date, his gamble has paid off. For more information about this and other networking opportunities, please visit www.yuprofessionalnetworking.com. 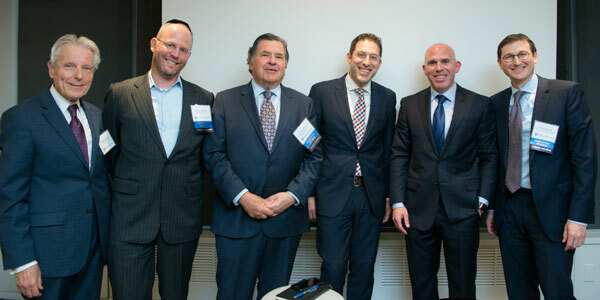 (l-r) Michael Strauss, dean of Sy Syms School of Business; Bruce Schanzer ’91YC, ’93C, co-chair of the Real Estate Professionals; Joshua Muss, ’62YC, chair of the Real Estate Committee; Charlie Harary; Scott Rechler; Marc Kwestel ’87YC, co-chair of the Real Estate Professionals.